Connecting the community through soccer. A Fun Night at 2nd Annual Spam FC Celebration Dinner! Doors opened at 6pm Saturday, January 26th at the St. Louis Park Recreation Center to a crowd of 100+ (nearly double the first annual attendance). Friends and SPAMily gathered to celebrate another fantastic year for Spam FC. 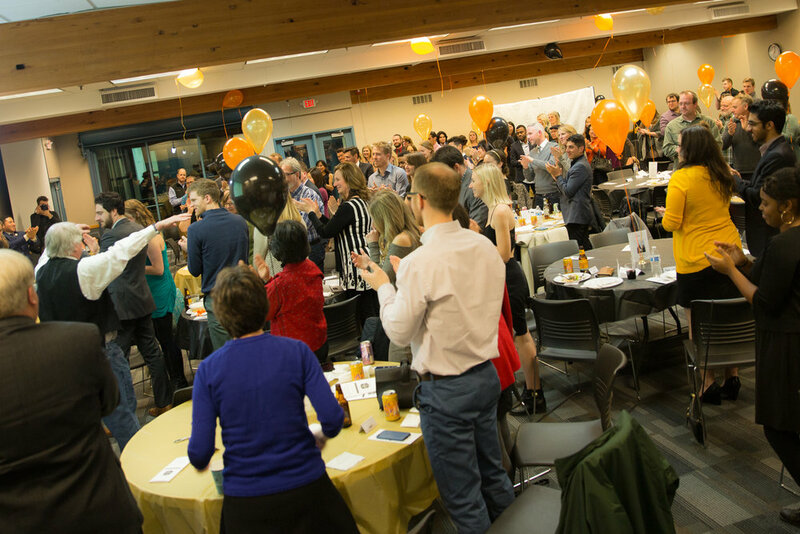 A silent auction, photo booth, food and guest speakers were just some of events highlights. To continue to support our cause, please donate above. In 2018, we awarded 13 recipients. Congratulations to all! In 2017, we doubled the number of scholarships in one year. Congratulations to the 10 students that have been impacted by soccer in a positive way! We had a record number of applicants and awards to give out in 2017, including the our first three women recipients! Our pool more than doubled from last year and we are excited to see the scholarships go to such deserving individuals! They are: Issiah Amla, Ana Rothler, Koo Yang, Sam Baer, Daniel Decker, Olvia House, Simone Redstone, Jonathan Tshiteya, Didier Bolanos, Erick Martinez. Congratulations to the recipients! Thank you from everyone at Spam FC!